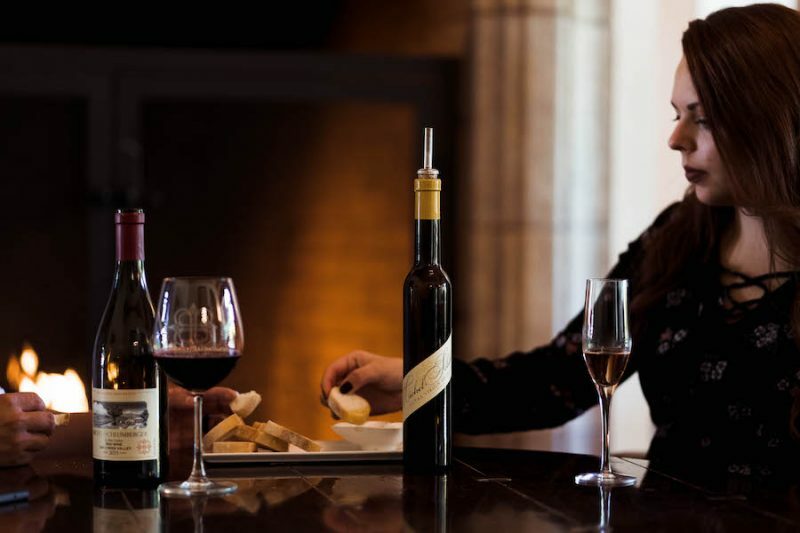 At Michel-Schlumberger Wine Estate, we not only cultivate, share, and sell a variety of incredible wines, but we proudly offer our own extra virgin olive oil. Just as we grow our grapes with the utmost care, we take pride in the growth and production of our estate grown olives. The exquisite combination of flavors will take your food far! The Leccino trees are sourced from Luca, Italy, and were taken from parent trees in Enterprise Vineyards in Sonoma. They were purchased at an age of two years old and serve as the cornerstone of the oil program. The Maurino trees are originally sourced from Tuscany. They are a hardy, bushy variety, nice for landscaping additions and make a great addition to the oil program. The Pendolino trees are also from Luca and were purchased as a special application tree. They also have their place in the oil program with small fruits and large pits, but are not the preferred variety, primarily due to their size. Frantoio olives are used about as widely as Leccino olives in most oil programs. They are sourced from Tuscany and make an outstandingly nutty oil when red-ripe and a sharp Tuscan style oil when harvested green. To purchase your own bottle of Michel-Schlumberger’s Estate Extra Virgin Olive Oil, please click here. We are sure it will add a rich, delightful flavor to your favorite dishes! For more information on reserving a special wine tasting, please click here. The Michel-Schlumberger team looks forward to sharing our incredible olive oil and wines with you.